In this traditional nativity for primary age children, the Christmas story comes to life as a magical Christmas jigsaw is pieced together. Now available with Words on Screen™ v2. At a bustling Christmas market full of the joyful sounds of carol singers and cheeky market sellers, five excited children come across a very special stallholder who gives them a tatty old Christmas jigsaw in return for the promise that they will find time to complete it on Christmas Eve. As the children gradually piece the jigsaw together with the help of a very special visitor, the Christmas story comes to life with all the traditional nativity characters. 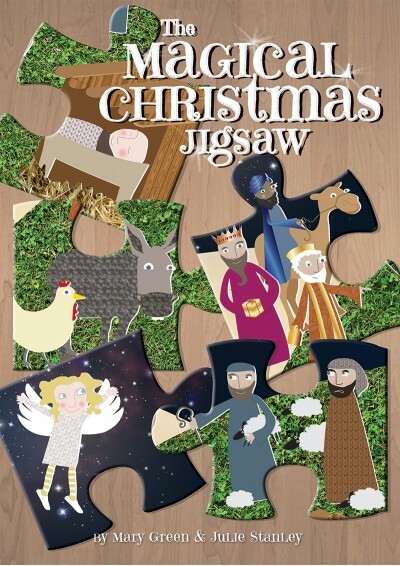 With a fantastic array of catchy songs and an enchanting script, The Magical Christmas Jigsaw is a wonderful nativity for the primary age group. Designed to be rehearsed in individual groups during class time and pieced together for the final production, this flexible nativity is perfect for busy teachers! Cast notes: There are 47 speaking parts in this production. Each scene has a separate cast and none of the characters from each scene appear in any other scene, so it can be rehearsed in separate class groups and brought together in just one or two final rehearsals to complete the jigsaw. Whole school: To include a whole school there are 6 large speaking parts, 9 medium speaking parts and 32 small speaking parts. There are some unison lines for the Romans and innkeeper's relatives and lots of non-speaking parts for shoppers/carol singers/Nazarenes/star dancers/silver angel host/Herod's wives/other courtiers and (optional) hens and mice. Each scene can be rehearsed in individual class groups as there are no overlapping characters and there are between 6 and 13 speaking parts per scene and lots of non-speaking parts to involve as big a group as you'd like. In theory you could have fewer speaking parts (or lots of non-speaking parts all played by the same kids) by doubling up and having one group play all the parts in two different scenes, but this would mean that you couldn’t make up a complete nativity tableau at the end for Scene 7. It is adaptable though for a smaller cast. Fabulous show- best yet !!!! The most fantastic show ever! Our best ever. We did this as a key stage 2 xmas show in a two form entry school! 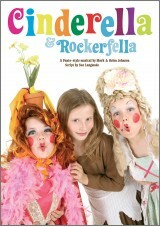 I’d highly recommend, catchy songs, great script and the parents and children loved it. The Magical Christmas Jigsaw was brilliant to stage. The songs were beautiful and it was easy to adapt. It had a good Christian message but the songs were really catchy. Really great result! Really easy to put together with great songs. We used this with Y1 and Y2 and every child was in costume in one role or another. 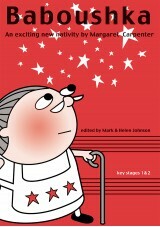 Perfect for a Catholic school - a true Nativity with a fun and interesting twist. We loved the ‘The Magical Christmas Jigsaw’! 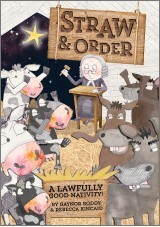 After ‘Children of the World’ from Out of the Ark last year, we decided to do a new Nativity for KS1 and FS this year. The Magical Christmas Jigsaw is well organised so the parts and scenes can be rehearsed across classes before getting together. The songs are very easy to pick up – my class took them into the playground! Apart from the 5 main characters [we called them the famous five] and the stall seller/golden angel, all other children had two parts to play so lots of movement on stage. Enjoyed by parents, children and staff – a winner! It was excellent and the play was a real success but it had no mention of costumes required which would have been very helpful. Other plays I did from this series included costumes. Our school used this last year and it was a great success. As others have said the music was easy to learn and perform, the script was engaging and had the key elements of the Christmas story. I would highly recommend this play. We used this last year 2013 for our school performance and it was a huge success. The story line included all the important events of the Biblical Christmas but weaved in an exciting, funny and entertaining storyline that kept the interest of everyone. The children loved the songs, they were catchy and fun and we were able to allocate the simpler songs to the younger classes. The piano score was simple to use and we added lots of percussion which made it sound magical! 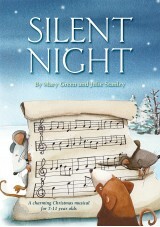 It made for a memorable Christmas production and I would highly recommend it for any School, Thank You very much! Really good i am doing it as my play this year and my part is herod. We did this last year and it was fantastic - it had all the right ingredients for a proper Christmas play, including a wide variety of songs - all catchy but some really beautiful, especially the last one. It was easy to rehearse too! More like this, please!